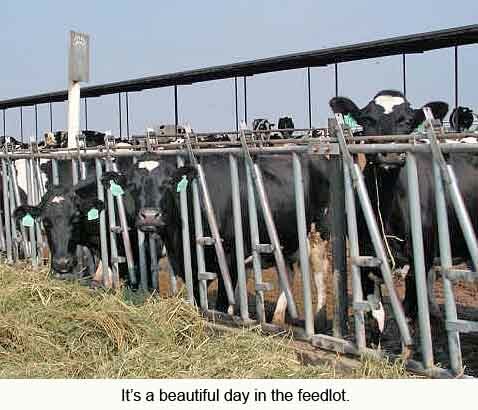 It’s a beautiful day on the feedlot. 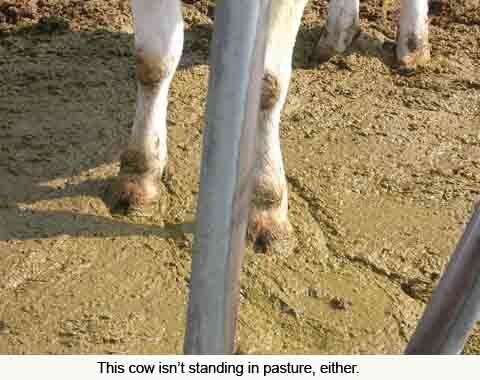 This cow isn’t standing in pasture either. 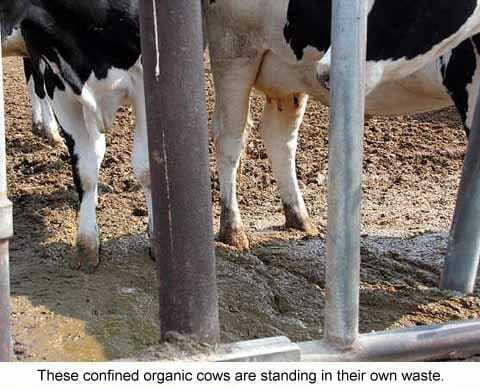 These confined organic cows are standing in their own waste. 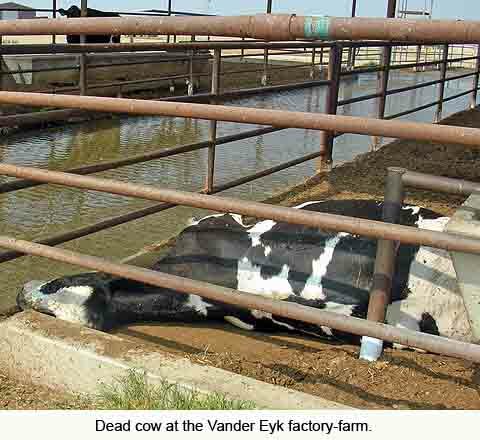 Dead cow at the Vander Eyk factory-farm. 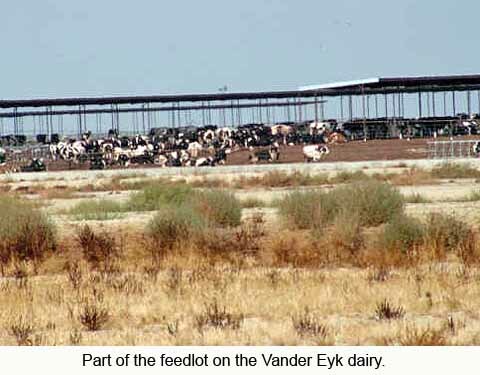 Part of the feedlot on the Vander Eyk dairy. A view in the distance of a portion of the Vander Eyk factory-farm. 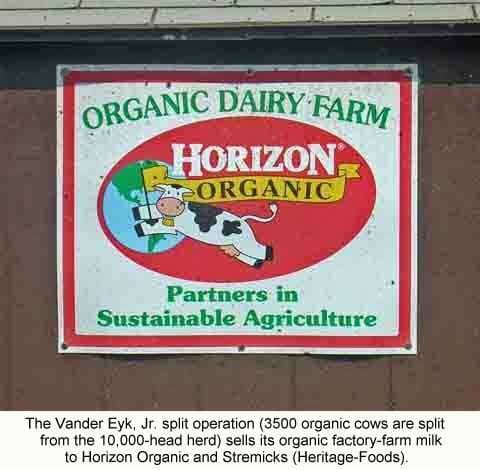 The Vander Eyk, Jr. split operation (3500 cows are split from the 10,000 head herd) sells its organic factory-farm milk to Horizon Organic and Stremicks (Heritage Foods). 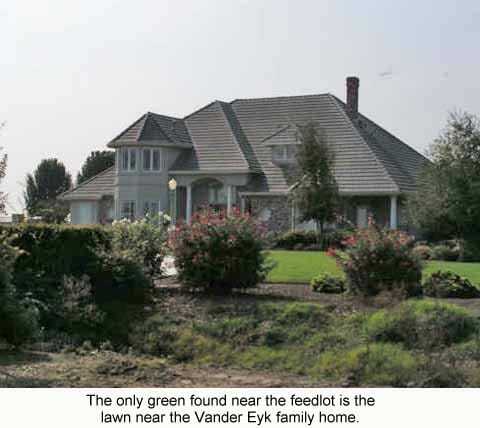 The only green found near the feedlot is the lawn near the Vander Eyk home. 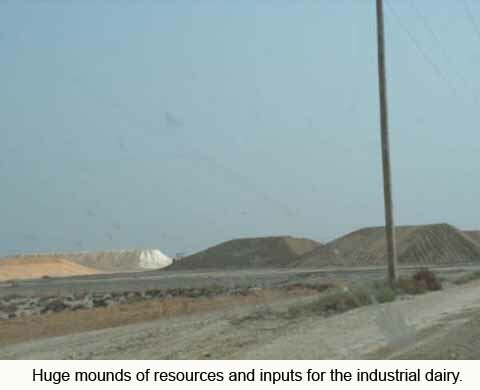 Huge mounds of resources and inputs for the industrial dairy. 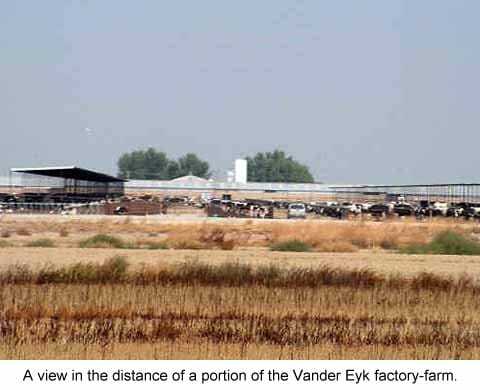 The Vander Eyk dairy milks both conventional and organic cows. 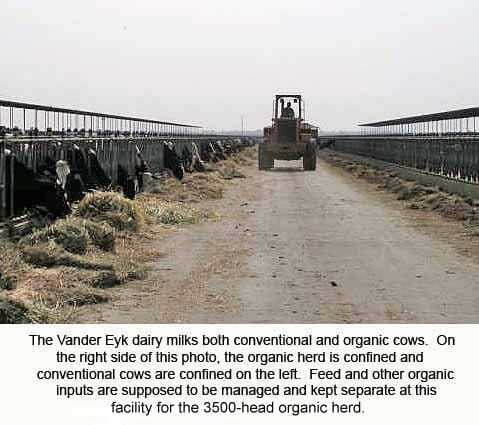 On the right side of this photo, the organic herd is confined and conventional cows are confined on the left. Feed and other organic inputs are supposed to be managed and kept separate at this facility for the 3500-head organic herd. 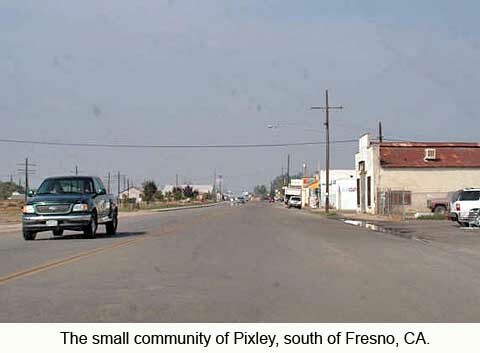 The small community of Pixley, south of Fresno, CA.